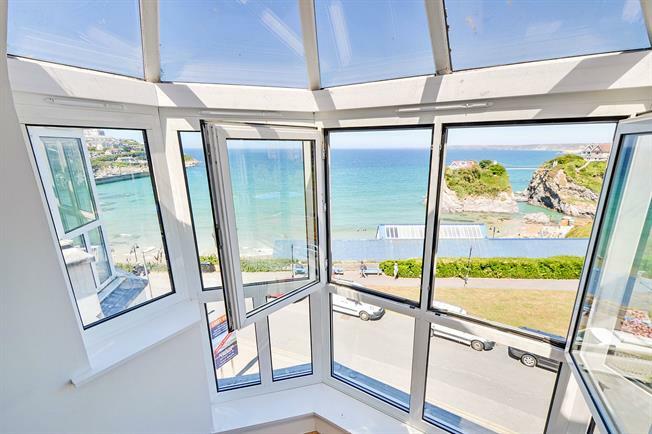 2 Bedroom Flat For Sale in Newquay for Asking Price £265,000. With amazing sea views this spacious referbished two double bedroom penthouse apartment has a living room, kitchen, utility, bathroom and en suite shower/cloakroom. 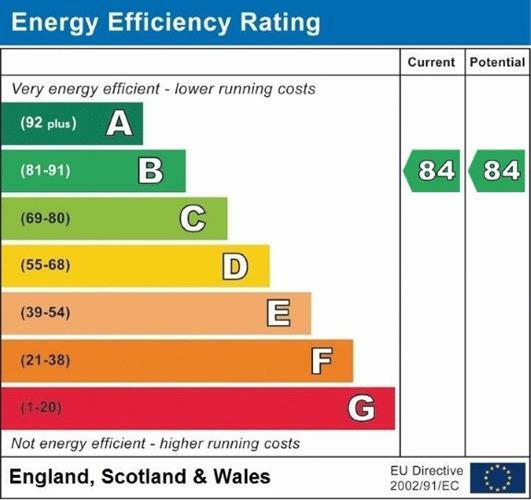 Under floor central heating and uPVC double glazing. Outside there is a personal enclosed balcony and block paved parking space. Viewing is strongly recommended - Chain free. Audio door entry phone. Lift and stairs to all floors. Personal entrance door. Built in storage cupboard. Audio door entry phone. Doors into living room, utility cupboard, bathroom and two bedrooms. Incorporating white fronted kitchen units comprising three base units, two wall cupboards and one drawer, with roll top work surface, ceramic tiled surrounds, stainless steel sink and drainer. Integrated refrigerator and freezer. Built in electric oven with four ring hob and extractor over. UPVC double glazed patio doors overlooking and gaining access to personal enclosed balcony. Door into en suite shower/cloakroom. Incorporating over size shower cubicle with glazed sliding doors, low level flush WC and wash hand basin. Extractor. Centrally heated ladder style towel rail. UPVC double glazed patio doors overlooking and gaining access to personal enclosed balcony. Incorporating panelled bath with shower attachment over, low level flush WC and wash hand basin. Centrally heated ladder style towel rail. Extractor. Part glazed with access from both bedrooms. There is an allocated block paved parking space for one car at the front of the property.